In the library of the research station, Prof. Decurtins, President HFSJG, gave a short introduction into the Foundation HFSJG. Then the group visited the Sphinx-laboratories under the special guidance of Dr. Martin Steinbacher, Laboratory for Air Pollution / Environmental Technology, Empa. 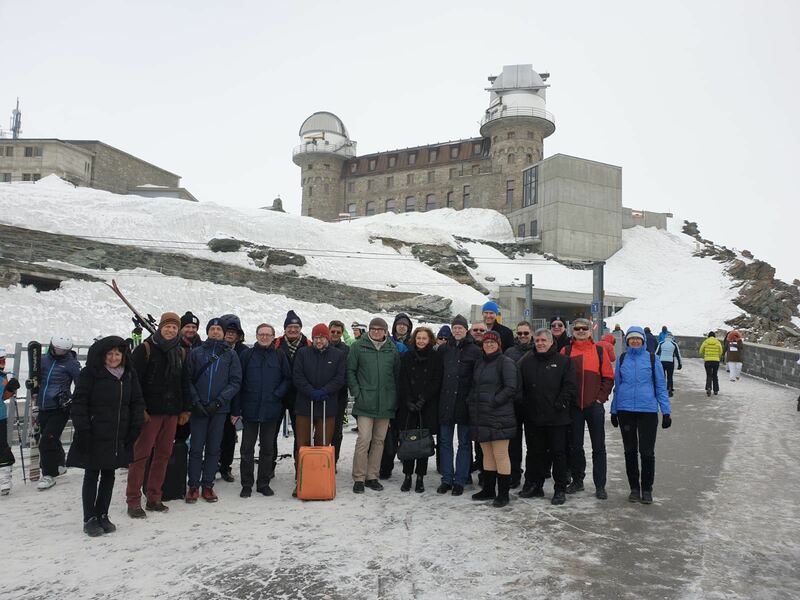 Despite the ‘arctic’ weather, a group photo was taken on the Sphinx-terrace.